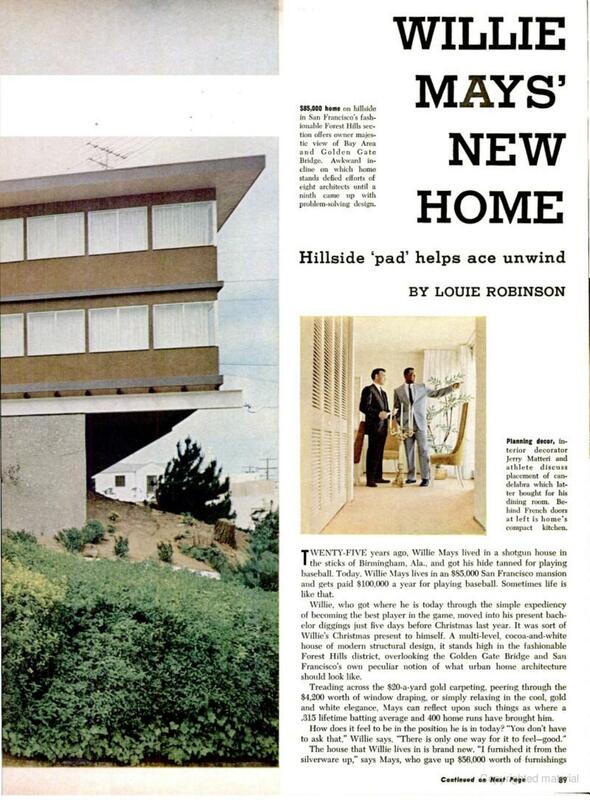 From the pages of Ebony, August 1963 is phototour of Willie Mays‘ mod house. It’s interesting to see the mix of styles in here, particularly Willie’s bedroom. 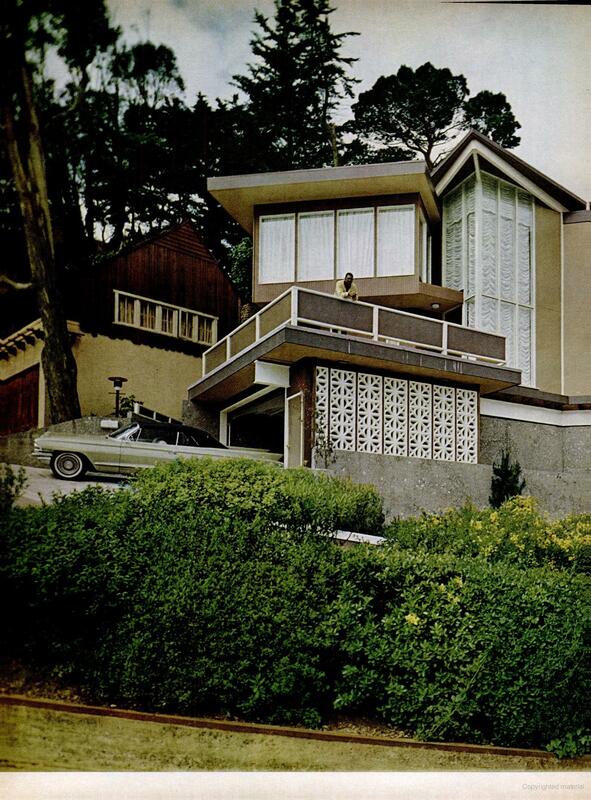 It goes to show that not everyone who lived in a Modern home filled it with furniture by Eames, Nelson, Knoll, etc. The home was constructed by speculative builder Al Maisin and even though the article says an architect was involved they don’t mention his name. The house still exists, but I couldn’t find any other details. Here’s what Google Maps shows. I’ve included some snapshots from Google at the bottom of the page.